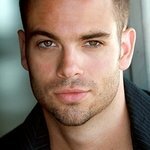 Mark Salling is best known for his role on Glee. Mark Salling has passed away, but we remember his charity work. Google trends for "Mark Salling"
We don't have any videos related to Mark Salling.